Late in November the Tobacco Institute of South Africa released a survey by Ipsos which found that, among other things, a cigarette brand believed to be illicit in the local market had become the hottest selling cigarette brand in the country for the first time in history. The survey fingers a Gold Leaf Tobacco brand, RG, as the biggest seller - and has demonstrated that the brand is significantly cheaper than most competitors. Gold Leaf Tobacco, meanwhile, has denied that it sells illicit cigarettes. Tisa, formed in 1991, is an organisation which represents the interests of tobacco growers, processors and dealers. Here are seven numbers that illustrate the extent of the problem facing the South African Revenue Service, government and the legitimate tobacco industry. Illicit cigarettes now make up 42% of the informal tobacco market. This is up from 33.4% in the previous year. These illicit cigarettes can be found at corner shops and sold by table top hawkers, who are more likely to buy their stock from larger shops than wholesalers. According to the Ipsos survey, the portion of Gold Leaf Tobacco’s brands classified as illicit stood at 73% in 2018. Gold Leaf’s brands include Voyager Savannah, Sahawi, M23 and Chicago. So far it has been established that RG, a Gold Leaf brand which Ipsos research says is illicit, is the biggest selling cigarette brand in the country for 2018. Gold Leaf is followed by Best Tobacco Company, with 10% of its products classified as illicit. The cigarette brand has denied the finding. The South African Revenue Service lost R8bn in taxes due to illicit tobacco trade and consumption in 2018. This is up by R1bn from the previous year’s R7bn. The maximum amount of tax due on a pack of twenty cigarettes is R17.85. Illicit cigarettes typically sell at prices so low that it is impossible to retrieve that amount of tax from the sale. The second-fastest growing cigarette brand in the country, Caesar, sells at an average of R10 a pack, according to the survey. 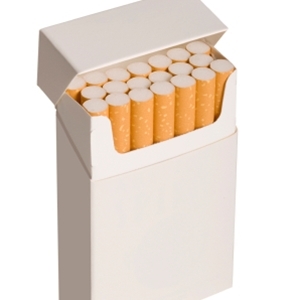 Illicit packs typically sell below R17.85 per pack, while illicit single cigarettes sell for as little as R1 or less. The prevalence of illicit tobacco brand potentially puts 12 000 direct jobs at local tobacco leaf farms at risk. Tisa says its members buy more than 95% of their tobacco leaf from local producers. With the growth of illicit brands that are non-compliant in tax, the jobs these provide are exposed. The Lesotho Revenue Authority, the kingdom’s equivalent of SARS, said in November that it confiscated 380 000 RG cigarettes and 38 boxes in a Maseru Bridge operation. It is estimated by the survey that up to 100 000 shops freely sell illicit cigarette brands nationally. Ipsos conducted a walkabout after their survey, which showed hawkers and shop keepers in Bellville, Cape Town had illicit tobacco brands ready to sell on request.